Capital Health Hospital Group is a modern multi-disciplinary medical facility that provides excellent patient care. We would like to take this opportunity to introduce you to CAPITAL HEALTH Hospital Group: The interdisciplinary Health Care Centre located on the historic Friedrichstrasse, in the heart of Berlin. CAPITAL HEALTH Hospital Group stands with more than 38 highly experienced specialists for high quality medical diagnostics and treatment in all disciplines. We are pleased to offer you medical consultations in your native language: German, English, French, Russian, and Arabic. Our specialists are committed to an interdisciplinary approach to patient care. Whether the patient is in need of preventive screenings or more specialized treatment, comprehensive services will be obtained from experts who are dedicated to provide effective and compassionate care to their patients. (030 32 79 80 92 20, Office International Affairs). Our open MRI system provides the most accurate diagnosis possible. The new design permits access from all four sides and has revolutionized the comfort of the imaging examination. If you want to get an MRI done in our facilities, the costs are dependent on your particular health insurance plan. Most private health insurance companies will reimburse the cost of getting an MRI done (private insurance PKV). When an MRI is requested by a German medical professional and you are covered by the compulsory German health insurance (GKV), the procedure is automatically determined to be reimbursable. Please bring the referral letter with you on the day of the examination. 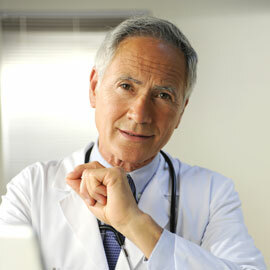 Our physicians are happy to offer private consultations for your specific medical problem. Specialized consultation is available in all medical disciplines. The cost of your consultation will vary on the complexity of your individual case. If you are paying your own account, we can provide you with an indication price.